You thought January was historic? Between My Bloody Valentine and Destiny’s Child, February is already off to a massive start, and now Fall Out Boy returns after four long years to Save Rock and Roll. Well, at least that’s the title of their new album (due out May 7th) and world tour. The band has also revealed the video for the album’s lead single, “My Songs Know What You Did In The Dark”, which you can watch below. "when we were kids the only thing that got us through most days was music. 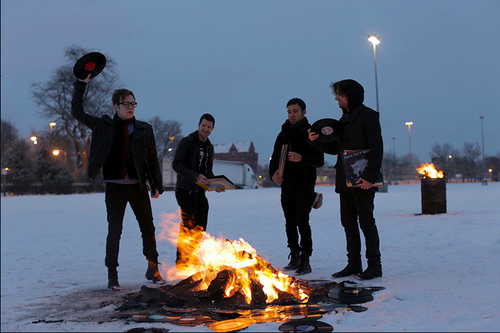 its why we started fall out boy in the first place. this isn’t a reunion because we never broke up. we needed to plug back in and make some music that matters to us.